If you’re a pub owner, we don’t need to tell you that the most important beer on your bar is your house lager. It is almost always the biggest seller, often makes the best margin and also acts a barometer by which drinkers will judge the rest of your range. While beers like Foster’s, Carling and Stella have dominated the lager category in the UK for decades, there is a quick shift happening in the market and stocking these beers can be detrimental to your bar’s image. As the pub sector premiumises and diversifies to meet the needs of new drinkers, cheap macro brands are being seen as low quality. Thankfully, as the craft beer and premium beer market matures prices are coming down and there are many high quality lagers that can achieve the margin you need in your high volume lager taps. 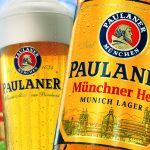 By far our biggest-selling product and one of the best lagers in the world, Paulaner is still made in the heart of Munich, drawing its water from a well beneath the city and its hops and malt from the beautiful Bavarian countryside. With these amazing ingredients and 400 years of experience brewing German beer, there is no lager like Paulaner Munich Hell – it has a lemony, fresh grass aroma with hints of caramel that transfer onto the palate making it bittersweet, moreish and super refreshing. There is no other lager under 5% that packs so much flavour into such a drinkable beer, and Paulaner can achieve very competitive prices against less quality, quicker made beers. Hacker-Pschorr is one of Germany’s oldest breweries, dating back to the 15th century and being one of the breweries at the very first Oktoberfest. Now owned by Paulaner, they still brew many of their historic styles like their Animator Bock and incredible unfiltered lager, Kellerbier, but they also make extremely drinkable helles including this keg-only release. Taking that same lemon and grass dominated aroma, it has a more grainy malt body and slightly hoppier finish which both make it feel lighter and even more refreshing. It comes in a few pounds cheaper than Paulaner. Bavo Pils is brewed exclusively for us by Huyghe Brewery, the legends behind Delirium Tremens. The aim was to produce a lager that could compete with cheaper macro brands but offer more modern and fuller flavour. Belgium has a great pedigree in making rich but refreshing lagers and Bavo is no different – it has a pale body with lots of grain sweetness, but also plenty of spicy Belgian hop aroma and high carbonation to make it zingy and light. Since this is our brand we get a fantastic price for 50l kegs and you can even brand it as your house beer with our approval! Campus Premium is a beer that screams Belgium. It’s a classic lowlands pilsner – light, bready and aromatic – and has modern, Belgian branding to match. It flies out the taps our our Belgian and Dutch bars offering a taste of Europe at a really affordable price. Like Bavo, it’s made at Huyghe but to very different recipe that puts it firmly in the premium category at 5.2%. Of course, the best way to make sure that you are catering to everyone is to have a few options, so in larger pubs it’s great to have a house and premium lager on the bar. People have many reasons for wanting to trade up, from fuller flavour to independence, but these beers need to be a higher abv to really help your business and drive sales. When we talk about premium lagers, we always talk about Hacker-Pschorr Gold. It’s designed to be a richer, headier version of the Helles. It has a deep gold colour with a floral, candied lemon nose then lots of sweet brioche notes from the malt. On the palate it is full bodied, with a richly bittersweet finish that lingers just a little without becoming cloying – it’s still a refreshing lager, after all. This beer brilliant straddles the divide between a beer you want to drink by the pint, and the kind of beer that is an experience to be remembered as much as any bold IPA or lambic. Norway’s Lervig have been voted in the top 100 breweries in the world for the last few years and with good reason. They make some of the most delicious yet experimental beer in Europe. It all started, though, with this wickedly clean and refreshing pilsner. Lervig started in 2007, when Carlsberg bought out and closed the only local brewery in Stavanger. The locals, who had no interest in drinking the mass market beers produced by Carlsberg, decided to found a new brewery to produce a fresh pilsner for them. This beer, save some tweaks and improvements made over the years by world-famous brewer Mike Murphy, is the same as that original recipe – a light, shippable body, bone dry finish and a hint of dry hop to add a modern citrus aroma. Perhaps the best lager that has ever been produced in the UK, Lost and Grounded Keller Pils is made in Bristol but takes its inspiration from Bavaria. Kellerpils is a relatively unknown style of German lager, brewed like a Helles but left unfiltered so the malt proteins add body and the yeast keeps its banana and clove aromas in the beer. The result is something as heady and sweet smelling as a hefeweiss, but a super clean and refreshing finish like a classic German Helles. 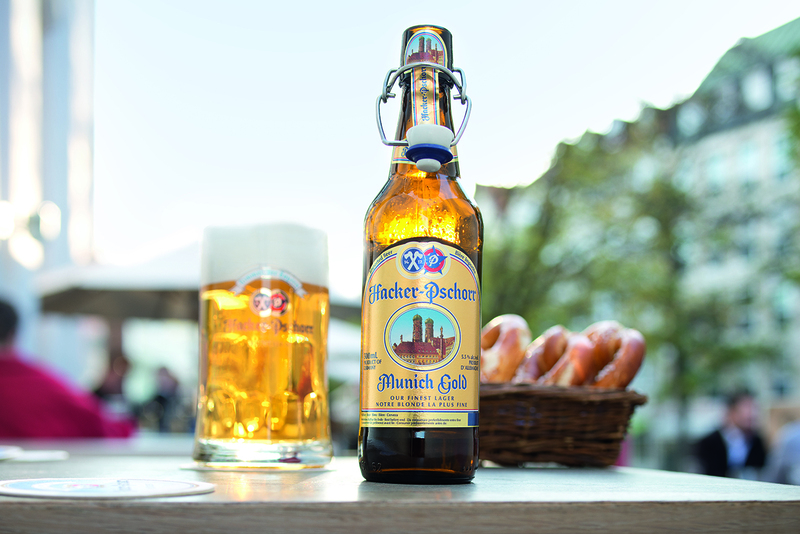 This combination makes it the beer of choice for master brewers in Germany. Lost and Grounded’s version is a little cleaner and definitely a little happier to make sure that finish is lightning quick – and it is all the better for it.